We now have our first team on the ground in Houston serving alongside Northeast Houston Baptist Church at their Farrington Mission. Our team helped distributed food boxes to 429 families their first day and are now working to rebuild the mission. There is much need in the Houston area and you can be a part of helping to restore an avenue in which many families are ministered to. At the Farrington Mission is a pregnancy crisis center that ministers to dozens of women each week and averages helping 3 moms a week choose life. This center was completely flooded and is being restored as quickly as possible. Here’s how you can help. 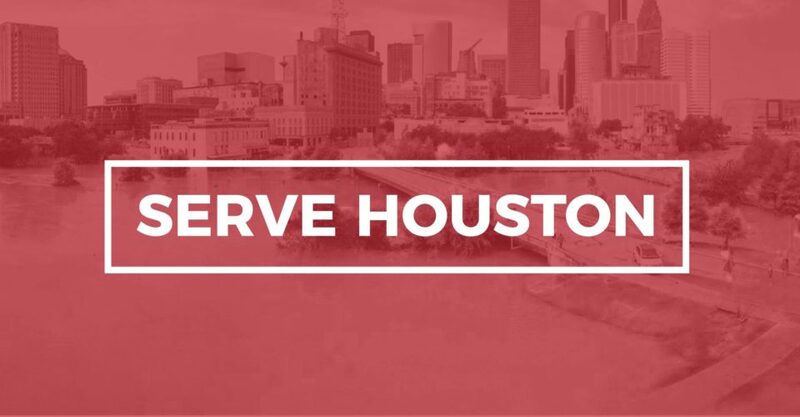 Pray: Pray for God to raise up volunteers to go to Houston to serve. Pray for funds to be raised that will be used to buy construction materials and supplies. Especially pray that moms that the clinic could be ministering to will soon be able to return to the clinic for counseling and life coaching. Give: Donations are being collected that will go towards the crisis pregnancy clinic. These funds will all be used to restore this life-saving clinic. Go: NEHBC has requested 2 teams to help reconstruct the mission and clinic and to distribute supplies to the 5th Ward community. The first team is already on the ground. The second team will leave Sunday, September 17th and return on Sunday, September 24th. Half the team will do construction and the other half will organize the food at the mission and prepare it for distribution. Men and women with or without construction experience are still needed for the trip. Can’t make it for the whole week? Reach out to Scott and discuss other options. For details and to register email Scott Riessen at sriessen@buckrun.org.